Boogie Man received its red carpet premiere at the UK Asian Film Festival London on March 24th 2018, where it won the award for Best Music. Jerry-Jane Pears, Kush Khanna, Amy Jackson and Aston Merrygold at the ‘Boogie Man’ premiere. Simon and Rachel at the ‘Boogie Man’ premiere. 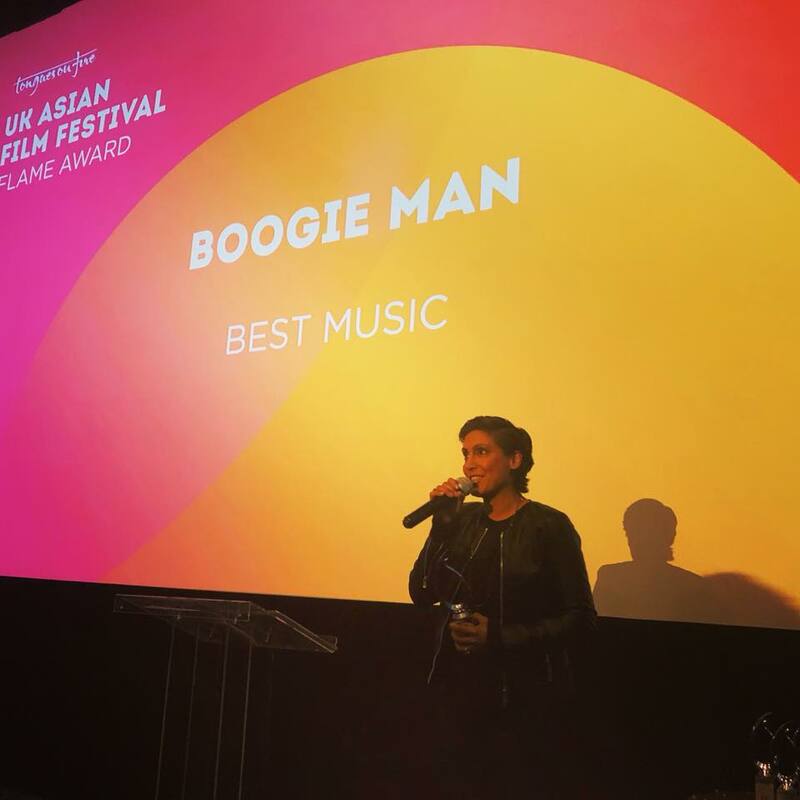 ‘Boogie Man’ wins Best Music at the UK Asian Film Festival London. Amy Jackson at the ‘Boogie Man’ premiere. During the following week, the film traveled with the UK Asian Film Festival, receiving several screenings around the UK. Jerry-Jane Pears with Andy Morahan.